Halloween is a month away from now, as customary people decorates their rooms, houses, classrooms and offices with Halloween related stuffs. The cheapest was to make decorations is using origami. Now, I want to show how to make your Halloween decorations more attractive and less expensive by adding Ghost origami decorations into it. Here are the easy and simple way to decorate your Halloween parties. There is only on material needed to make ghost origami and that is - Square Paper preferably white or black depending on you color choices. The sizes of ghost defends on the sizes of square paper you will use. Fold your paper in half along one of the diagonals to make a triangle shape. Unfold. Fold the left and right sides of the triangle in to the middle line as shown in the photo to the left. 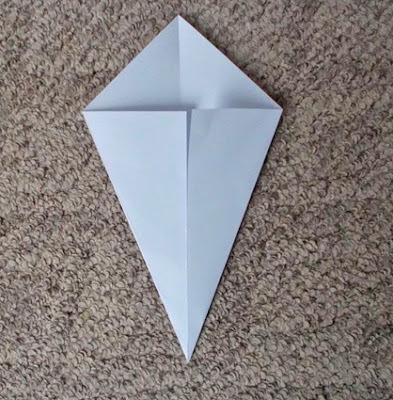 In origami, this form is known as a kite base. See photo below. 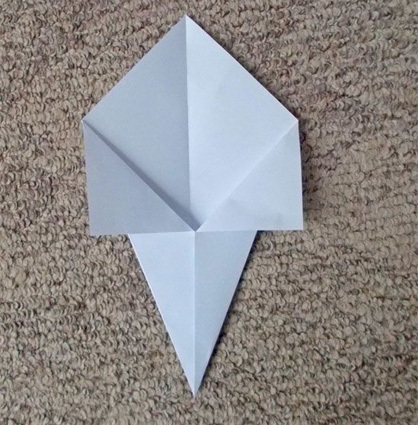 Fold the corners down. See the picture below for reference. Flip the paper over. 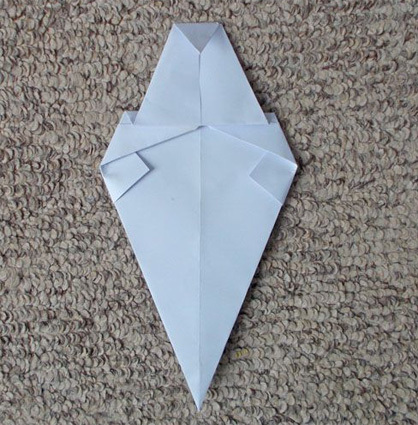 Fold the flaps of the triangles you made in the last step so they lay flat against the sides of your ghost. Thereafter, your image should look like the photo below. 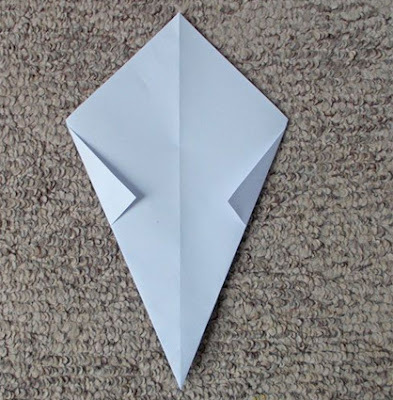 Fold the left and right corners of the paper in to the middle. 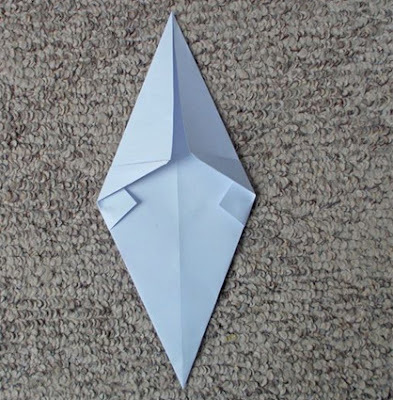 Your origami ghost should look like the photo at the bottom. Fold the top triangle down slightly. Make an accordion fold where the ghost's neck would be. See image below and finish. 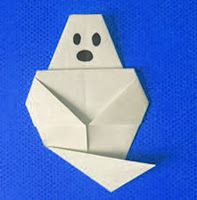 TIPS: You can add eyes and nose to your Ghost origami see sample photos above. Have a nice day!